We are one of only two companies in the world that can convert a Moore jig grinder into a CNC contouring machine while offering the same features, consistency, and accuracy of a new machine. Our product is much more affordable than purchasing from the original equipment manufacturer, and our service and support are far greater. We have been in business since 1979, so our customers know that they are dealing with a well-established and reliable company with a history of excellence. We are trusted worldwide, with dedicated and skilled employees who have a combined experience of over 150 years in the machine tool industry. 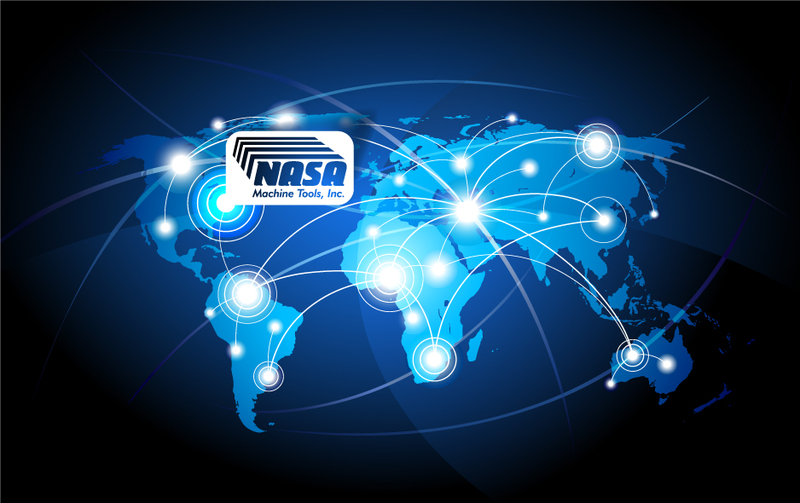 NASA Machine Tools has become a global resource, with an established distribution network which serves small, medium and large size companies. Our unique products, include our highly successful NASA AGS-3, CNC continuous path Moore jig grinder integrations which were developed in 1985 in order to better serve the jig grinding industry. To date, NASA has installed hundreds of systems worldwide, and our expertise, combined with our constant improvements in CNC technology have changed the face of the jig grinding industry. Depending on the application required, each machine is offered with 1, 2 or 3 high-speed spindles. We believe our combination of progressive management, continuous improvements in R & D technology and superior customer service will ensure our growth throughout the coming decades. You won't be disappointed when you choose NASA Machine Tools, Inc. for your machine tool manufacturing needs.